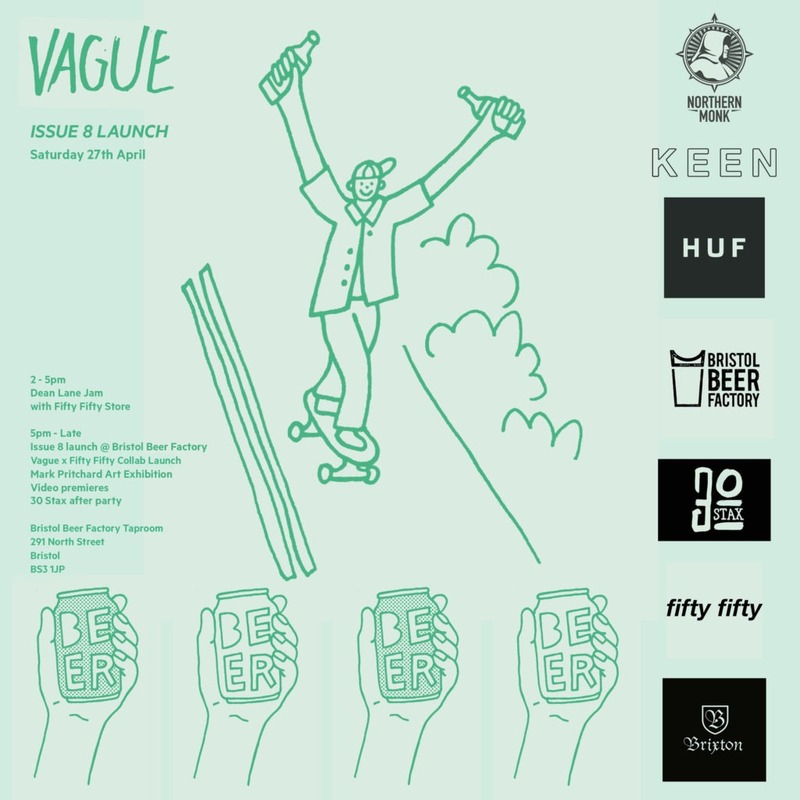 Our 8th Issue will be launched in Bristol on 27th April in association with Fifty Fifty at Bristol Beer Factory Taproom. Dean Lane Jam with Fifty Fifty Store from 2pm – 5pm with prizes from Fifty Fifty, Keen Dist, Out Of Step + Northern Monk. Mark Pritchard Art Exhibition + Issue 8 launch at Bristol Beer Factory Taproom from 5pm – Late. Vague x Fifty Fifty x Mark Pritchard Collab release. After party with The 30 Stax DJ set. Locations @ Dean Lane Skatepark 2pm – 5pm + Bristol Beer Factory Taproom, 291 North Street, BS3 1JP 5pm – late.